Update (10/11 11:00am): No longer available in Red at this price. 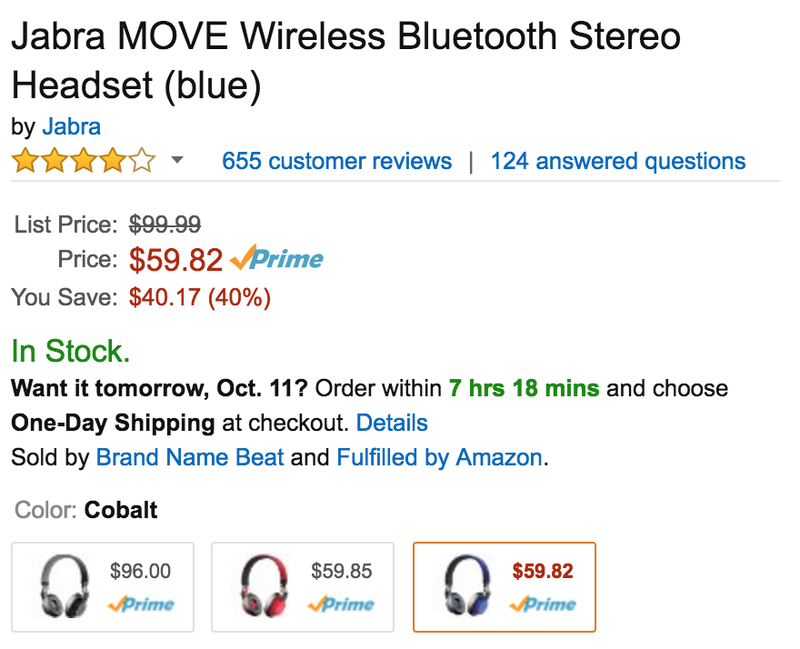 Amazon offers the Jabra MOVE Wireless Bluetooth Stereo Headphones in Red or Blue for $59.85 shipped. Originally listed at $100, these headphones still fetch that much at online retailers like B&H. Today’s deal is a match of our previous mention and the best available. Pair Jabra’s wireless headphones with your iPhone 7 and forget about being tethered to a device. This model features an “ultra-lightweight design and adjustable headband”, built-in microphone, plus up to eight hours of use on a single charge. Over 650 Amazon customers have left a 3.9/5 star rating. Don’t forget, we still have Jaybird’s Freedom F5 Bluetooth Earbuds on sale for $150 (Reg. $200), the Audio-Technica ATH-M20x at $29 and the Bose SoundLink II Wireless Over-Ears on sale at Amazon for $229. Prefer a wired design? Swing by our roundup of the best Lightning-enabled options on the market today. Engineered by some of the world’s leading sound experts, Jabra Move Wireless provides unrivaled sound quality in the wireless headphone category. Jabra’s signature DSP delivers a crisp digital sound that is bound to bring out the true depth and clarity of the music you love. Wireless technology has never been so liberating. Move Wireless is easy to connect and allows you to leave your phone in your pocket and easily control your music and phone calls from your headphones. This is life on the move – the easy way.